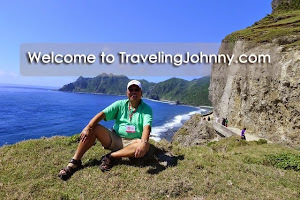 Press play if you want to get to know more about my recent trip to the province of Negros Oriental in the Philippines. On this trip, we toured around and experienced first hand its most popular destinations and activities found in Dumaguete, Bais, Siquijor, and Apo islands. These places are ideal for travelers seeking leisurely adventures, nature trips, and captivating underwater encounters. From Manila, the capital city of the Philippines, we flew to Dumaguete on Philippines Airlines. It was a quick flight that lasted for an hour and 15 minutes. After our arrival, we immediately began our tour and explored the city's well-known attractions including the 17th-century Sta. Catalina de Alexandria Church and the 18th-century Belfry which is the oldest in the province. We continued our tour to the famous Rizal Boulevard and ate delicious street foods before having our hearty lunch at a local restaurant. We also visited the city's local museum and gift shops before checking-in at a very nice tropical resort known as the Sta Monica Beach Club. On Day 2, we headed to the neighboring town of Bais where the stunning Manjuyod Sand Bar is located. Here, we stayed in an overwater wooden cottage while enjoying the breathtaking views of nature and indulging in some fresh seafood meals friends. The next day, we started our next journey on a boat ride to Siquijor to experience a different kind of adventure. This small, peaceful island is famous for its many natural springs, one of which is the Capilay Spring Park in the town of San Juan. This attraction is extremely popular among locals and tourists alike, especially during the summer season because of its cold and fresh waters. After a refreshing time at the spring park, we continued our journey to Siquijor's infamous Balete Tree. Interestingly, this attraction does not only offer a view of a 400-year old giant tree but as well as a fish spa where little fish locals eat away dead skin found on peoples' feet. On Day 4, which was the last day of our tour before heading back to Manila the next morning, we hit the road to Malatapay where we were then transferred by boat to the Apo island. This small, peaceful island is one of the most popular diving and snorkeling spots in the country. It is home to over 650 species of fish more than 400 types of corals. Most visitors like us go here to snorkel or dive with the marine species such as sea turtles and small fishes. After hours of dipping, snorkeling, and fun under the sun, we called it a day and went back to Dumaguete where we did a quick souvenir shopping before heading back to the resort. Ultimately, the experience we had was beyond surreal. The locals were extremely friendly, food and resort accommodation were great, and the destinations we visited and activities we took part in exposed us to a higher level of bliss. Altogether, they made our trip worthwhile. Have you been to these destinations or tried any of these activities? Comment your experience below.